I've never thought that I would leave Singapore. Well, the one and only time I had my fortune read with tarot cards, which was at a media event and that was the only attractive booth, the fortune teller predicted that I would one day migrate. Which I laughed and said impossible because I loved Singapore way too much. It turned out I really left home for four long years. So he was half right in saying that. Then again, he also said I would fall in love with an exotic man which didn't happen. 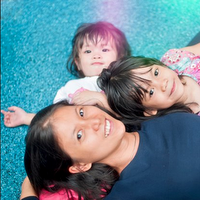 Am I glad I came to Sweden, started a new life, got pregnant and became a SAHM? Yes. Do I regret any part of it? No. Will I do it again? Probably. But do I miss home? Definitely. I do love the simple life in Sweden, the friendly folks, the chance to play with snow balls in winter, the opportunity to bring up my kid all by myself in a foreign land. Total freedom, total flexibility, total family bliss. However, there are things about the sunny island that I truly love and miss. It's great to be able to play in snow and have the chance to ski. But come four winters, one being a particularly dreadful one that lasted over five months, you'll be craving for the bright sun that makes you sweat. I'm talking about the need to dress up like a mummy (not the gorgeous mummy but the Egyptian mummy) every time you go out just to buy groceries. You have to wrap yourself in at least four layers of clothes, then wrap your baby, then put all the gloves/socks/boots/beanies before you are set. Then you find yourself so warm in the supermarket that you start to undress and your kid complains of the discomfort, only to put them on half an hour later when you head home. As for the hubby, he gets it worse. First he has to spot his car buried in the snow every morning, next he has to scrap off all the snow from the windows and windscreen, then best of all he has to dig and shovel away all the snow from the tires. Only to find on many occasions that his car couldn't even start. So yes, we do miss the sunny weather in Singapore and how you can simply don a sleeveless shirt, shorts, flip flops and leave the house. One of the best parts about staying in Europe is that we get to go on road trips, travel around and see so much of the world. That said, it only happens during the summer and winter holidays when the hubby gets a long vacation leave. Come weekends, we are sometimes stumped in thinking of places to visit because we've pretty much covered the whole of our small town, which by the way is a dead town on Sundays. So you might think Singapore is tiny, but the places of interest are easily tenfold what we have here, or more. Not to mention there are always new attractions springing up. I miss the night scenery in Singapore and how it is bustling with life at the shopping malls, at kopitiams, at pasar malams and along Orchard road. Here, all shops close at 6pm and you pretty much have nothing to see. The last time we went back to Singapore, we almost couldn't recognise it. I mean, in the short span of four years, places of interest like Marina Bay Sands, Helix Bridge, Resort World Sentosa, F1 Grand Prix, Marina Barrage have adorned our landscape, which in my opinion has one of the most awe-inspiring city night view. In addition, having been to so many zoological gardens in Europe, I still miss our very own Mandai Zoo and Night Safari. I'm pretty sure I'm going to take up membership when I go back. Playdates, anyone? I can't tell you how many times I've craved for and drooled in my dreams over the local delights. It's not hard to learn to cook, but it's darn hard to cook authentic dishes that remind you in any way of the yummylicious Singaporean food. Bak chor mee, orh lua, katong laksa, fried carrot cake, roti prata, bak kut teh, nasi lemak, dim sum, Hainanese chicken rice and even KFC. Yes, KFC. I'm deprived of it because there isn't a single outlet in the whole of Sweden and the fact that it is my all-time favourite fast food chain. As for the rest, we do try to cook them once in a while but they can never be on par with what you can easily order in a kopitiam in Singapore. Did I mention we eat frozen dim sum, fishballs, prawns and duck here? Moreover, there is no 24-hour coffee house here so if you wake up in the middle of the night feeling famished, your best solution is instant noodles, which by the way is shipped up from Singapore. Not surprisingly, when the hubby and I were in Singapore, we went out for supper at 2am every single night and travelled to different parts of Singapore (we didn't even mind driving from Hougang to Boon Lay) just to satisfy our food cravings. Living in a foreign land isn't easy, especially when you get separated from your best buddies and feel like you are now sailing on a ship in turbulent waters, alone. You can't pick up the phone and ring a friend as and when you please, considering the time difference, overseas charge and the fact that you don't want to appear too wimpy in front of your friends. You can't join in any of the old friends' gatherings, new year countdowns, weddings, or slumber parties. You don't have another shoulder to cry on when you had one of the worst fights with the hubby and you feel like you are all abandoned in a corner of the world. Yes, I miss my friends and the fun things we used to do. Last but not least, I miss the one thing that's always holding me up - my family. I miss the Chinese New Year steamboats, the weekend mahjong sessions, the karaoke outings, and the many bonding sessions we have. 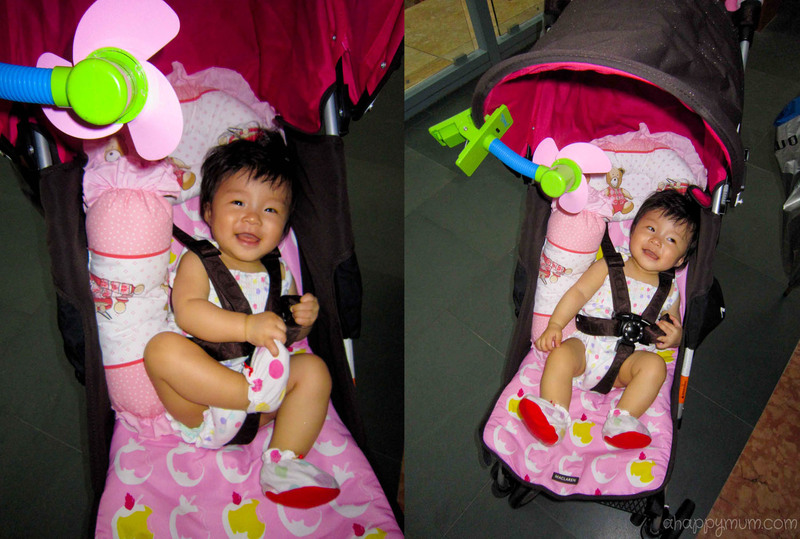 It's a good thing that I have now started a family of my own and have fulfilled my all-time aspiration of being a mum. Having your own family makes you appreciate the meaning of that word so much more. The understanding of what your parents went through in the good old days. The wisdom of knowing that raising up a child is never as easy as giving birth to one. The gratitude of realising how lucky and how blessed I am to be who I am today. So to Daddy and Mummy, from the bottom of my heart, thank you. You see, I love my life in Sweden but I am also looking forward to returning to home sweet home Singapore soon. The experience of living overseas has opened me up to the world and allowed me to do things that once existed only in my dreams, for which I'm eternally grateful. Four years ago, I left the sunny island as a young, carefree and jovial girl. Now, I'm going home as a mature, strong and happy mum. Happy 47th Birthday, my Singapore, my home! 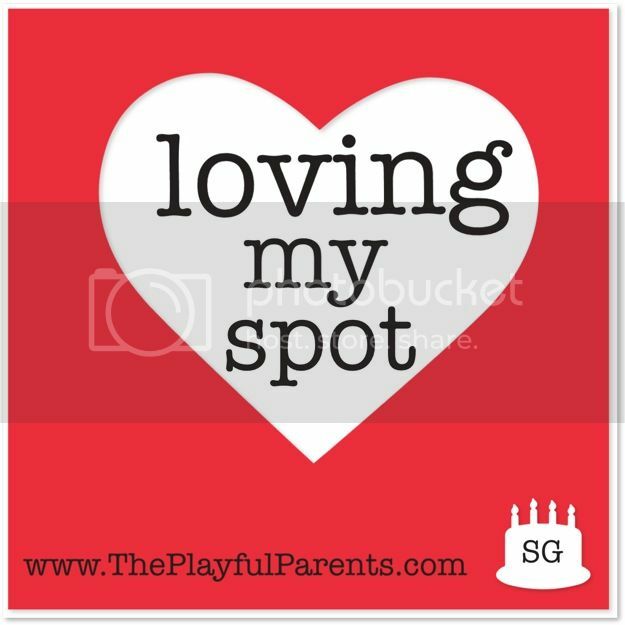 This post is part of "Loving My Spot" series by Singapore mum bloggers. Do check out other blog posts to discover hidden corners in Singapore or read about what we love and miss about this sunny island. The next stop on the blog train will be Bishan Park written by Steph Tan. Steph is the mommarazzi to two little spice girls nicknamed Roo and Red, which is what her blog is named after. "Roo and Red" blog is a chronicle of her everyday adventures with her two little spice girls and her fledgling photography business. It is a happy space where they hope to pass on their wanderlust and happy look-to-the-bright-side-of-life vibe through loads of candid images and simple anecdotes. I love this post! Very nicely written, and these would certainly be the things I'd miss should we ever choose to migrate. I totally agree with all that you listed. It's a good experience to be away from SG & experience other culture/environment but SG is home truly. And we most definitely miss SG local food, and the convenience of having affordable food at any time we want. Oh yes, it's definitely a cherished 4 years experience for me and food should top my list, actually. Lol. Cheap, oily, always available, yummy SG food. I do miss it! And in a sense, I will miss the cool weather here too once I start sweating non-stop in sg, probably even the 'mummy' part! Absence definitely makes the heart grow fonder. Just a few more months then you'll be back in Singapore! Can't wait to hang out with you!! Same! I miss my shorts & flip flops! And i hear you about the shops closing at 6, & having to layer layer layer! Playdate when we get back k! Haha I've forgotten where I kept my shorts and flip flops. Yeah but it's definitely a rare and precious experience for us to be able to stay with a family in a home away from home, I definitely benefited much from it. I'll be waiting for you in SG! Meanwhile enjoy the rest of your stay and adventures in Europe okz! Reading your love list made my eyes mist over...reminds me of the time i was away from SG. Really really true that absence makes the heart grow fonder. And it is so true that you can get so homesick just by thinking about the food! And yes, Singapore changes so fast. I bet you will be feeling like a tourist when you finally move back! See you back in SG soon! Thanks for joining my Love SG party train! Oh ! Oh! You DID marry an exotic man what! He's Chinese and from Sg mah...exotic Asian! Thanks Sarah! Yes, food makes me super homesick! *drools* I will definitely catch up with you end of the year. =) Thanks for hosting this! Heehee, ok I'm trying to picture my hub as an exotic man, at least for tonight. Lol.